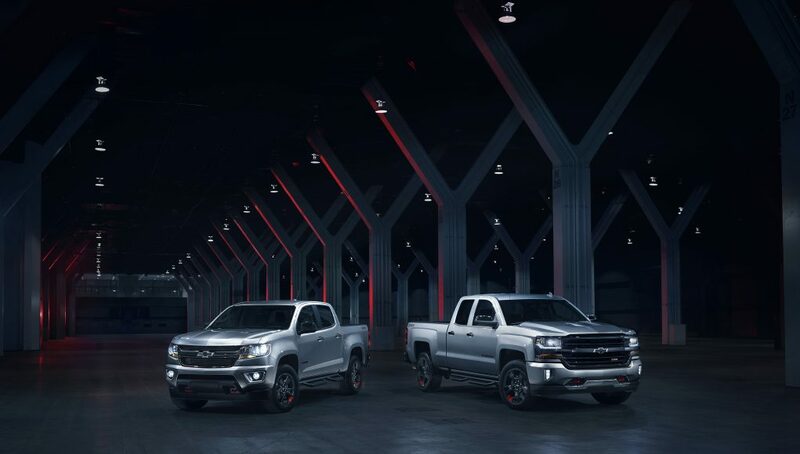 Chevrolet Colorado and Silverado Redline editions. Like boats, vehicles are often extensions or expressions of their owner’s personality. When you need to tow a boat, though, practical considerations limit the kind and number of vehicles under consideration. Fortunately, truck manufacturers seem well aware that many buyers need their vehicles for practical purposes, but also want to express their personalities. For those buyers, there is a long list of special editions. The bottom-line test of how well a special edition works is likely the number of comments garnered from truck enthusiasts who cross your path. So, if you are driving a special edition of any kind, prepare for added attention. Blackout special editions are probably the most widespread. Almost every truck builder seems to have one. Nissan offers a Midnight Edition with Magnetic Black paint colour with black-painted grille and wheels, in both half-ton and XD Titan models as well as the mid-size Frontier. The 2018 Chevrolet Silverado 1500 and mid-size Colorado truck also come in an all-black Midnight Edition. Black Out and mainly black Special Ops versions of the Silverado are available, while the Colorado also comes in the ZR2 Dusk Edition (with most of the same features but a body colour that is not black). 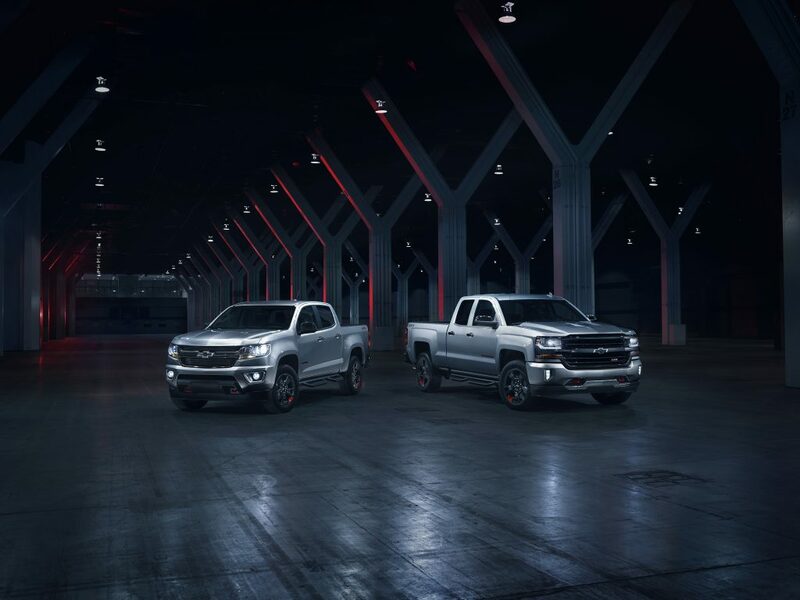 There’s a Redline edition for 2018 available on both Chevrolet Silverado 1500 and Colorado trucks, with blacked-out trim and red accents. GMC’s Sierra 1500 All Terrain X truck is loaded with black-coloured accessories such as wheels, sports bar with LED lights and sport steps, but can still be ordered in a range of colours. The 2018 Ram Limited Tungsten Edition is a luxury variation on the blackout theme and available as a light or heavy-duty truck. The 575-hp Ram Rebel TRX, aimed at the off-road crowd, also scheduled for 2018, is a special edition that is an answer to the Ford F-150 Raptor. Ram’s most striking special editions, though, are based on bright, high-visibility colours paired with black-decaled performance hoods. I tested a 2017 Ram 1500 Sublime Sport Crew Cab 4X4 last fall and got plenty of attention. 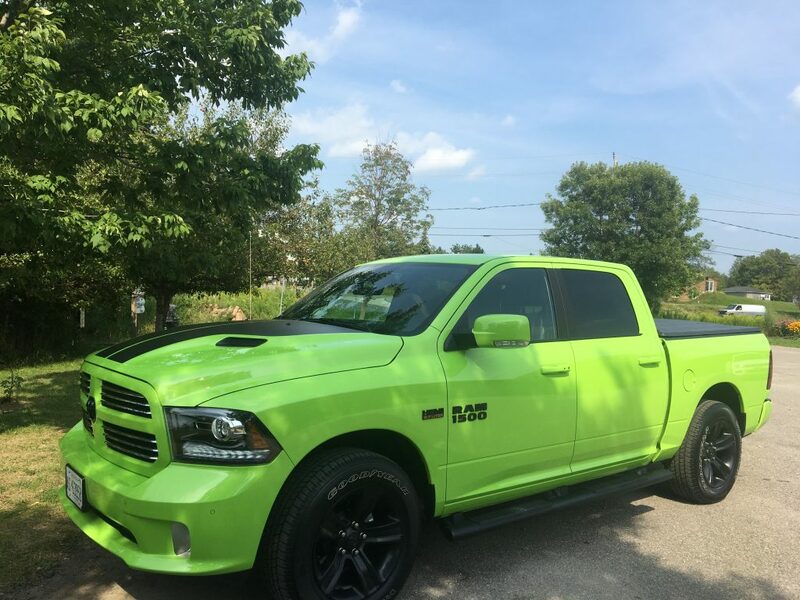 Sublime is a bright lime green shade that guarantees you will never be lost in a crowd of ordinary trucks and will never misplace your vehicle in a parking lot. The Ignition Orange Ram 1500, launched in 2016, pales by comparison. The test truck was a capable tow vehicle. With a 395-hp 5.7-L HEMI V-8 linked to an eight-speed TorqueFlite transmission, and a 3.92 rear axle ratio, it’s rated to pull up to 9,830 lb. I regularly towed loads well over 5,000-lb and the truck showed no signs of undue effort. The vinyl-trimmed mesh seats were very comfortable and a heated steering wheel and seats are handy in winter. As it was, the truck’s paint job attracted all the heat and attention I needed. Ram’s newest special edition is the 2018 Hydro Blue Sport truck, introduced last November. It’s a colour I would probably call “electric blue.” Kept clean, it’s sure to get almost as much attention as the Sublime edition. Only 1,000 are available in Canada. If you are outgoing by nature and want to stand from the launch ramp crowd, check it out.